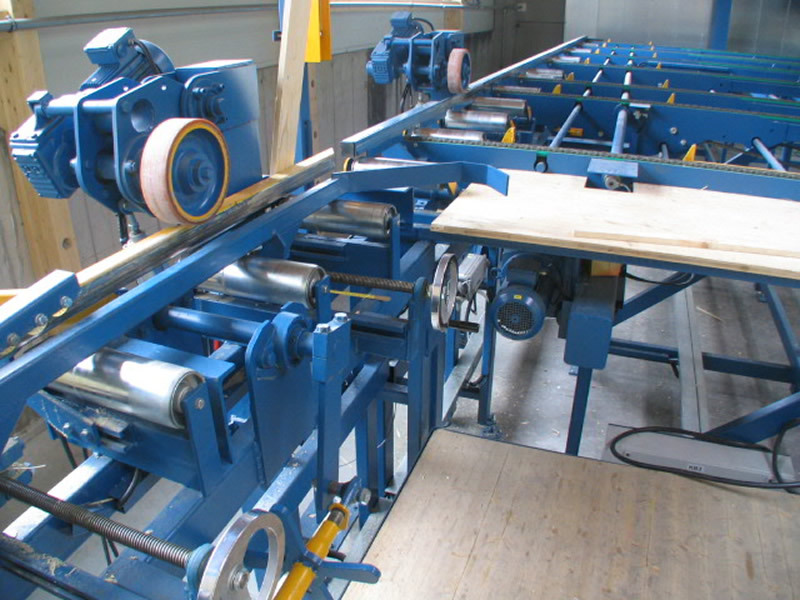 Planer feeders are used to feed the subsequent planer. 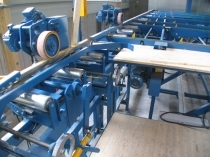 For this purpose, goods are usually accelerated by feed rollers from a transversal conveyor to a longitudinal conveyor and continuously fed into the planer. 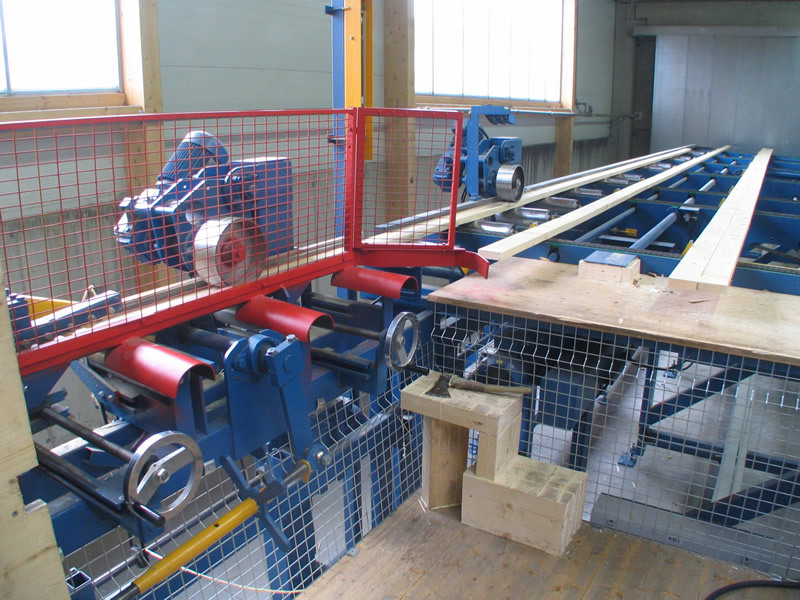 The planer feeder either pulls the board to be planed out of a closed layer or feeds previously separated boards. 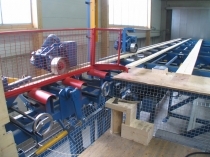 Planer feeders can be constructed in almost any length and are adapted to the maximum feeding speed of the planing machine. 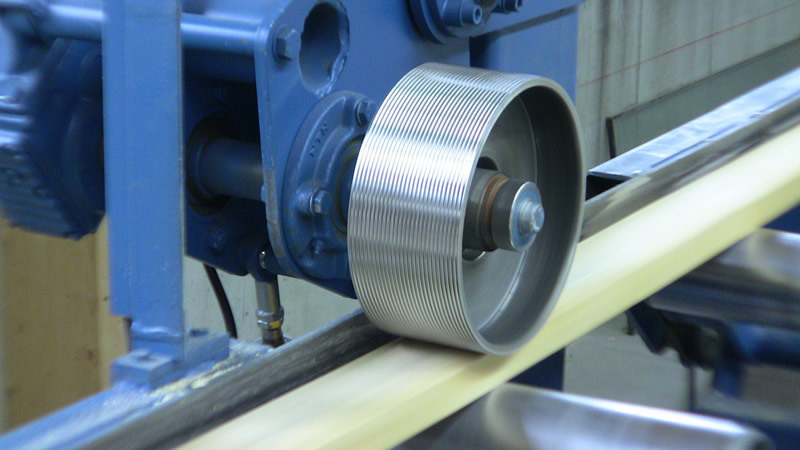 The robust and reliable design of our planer feeders guarantees a continuous supply of material to the planing machine for an operation with maximum availability.